Scrap Escape: Flying Unicorns Pre Sale!!! ......but it should not mean that you cannot get our kits either! 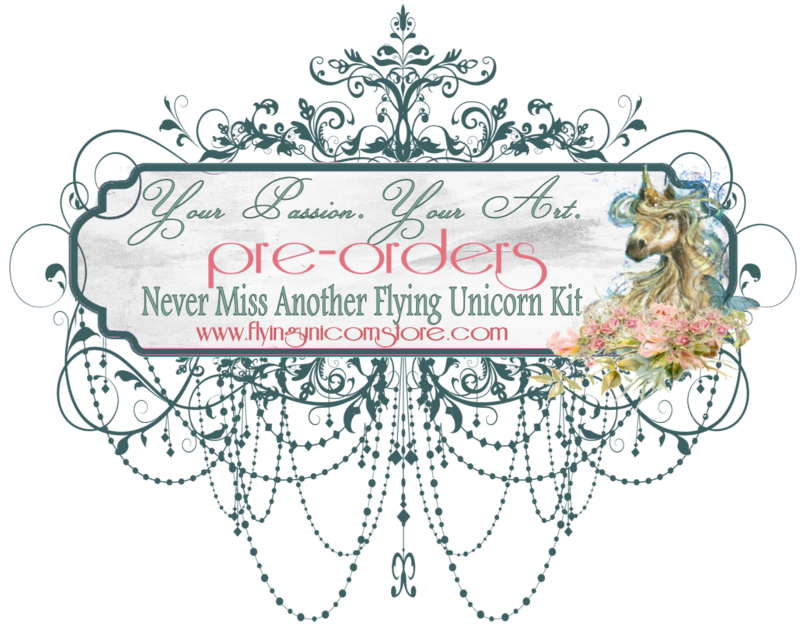 The Flying Unicorn team and I, are pleased to announce that not one customer has to miss our amazing kits again! On the 20th day of each month Flying Unicorn will open up sneak peeks of the kit, allowing you to preorder and purchase the main kit and/or all the add on kits. .
Preorders will be open for a 48 hour period, giving you time to relax and preorder the kit at your convenience. There are no waiting lists, no rushing to the store, and certainly no obligations! We will have a limited number of kits available on the last day of each month for full reveal in case someone has missed the preorder window of opportunity. We are also giving our devoted customers kit lovers a what works best for you, purchase options on the preorders. Pre-order – Pay Now Option –You may purchase and pay for your kit and/or all the add ons from the 20th–22nd of the month which will guarantee your order being mailed out to you 5 days before the full kit reveal. Pre-order – Pay Later Option–Simply reserve your kit and/or the add-ons and pay later. We will send you an invoice the day of reveal giving you time to pay. Once payment is received, your order will be mailed out to you. Make sure to like us on Facebook, be a member of ourforums and subscribe to our newsletter thru our store so that you do not miss out on the preorder reminders and other special offers.